David C. Ritchie, B.S., M.A. David's interest in Martial Arts began in 1969 while attending the School of Agriculture at the University of Connecticut. During this time he studied Go Ju Ryu, and later continued studying and training in other Martial Art Styles from Korea, Japan and China as well as Judo, Aikido and American Boxing. During the time David spent practicing the Chinese Style of Wing Chung, he discovered Tai Chi Ch’uan. David’s Tai Chi learning began in 1973, and he soon met his first Tai Chi teacher, Ben Wang, who was in the United States at the time. After 5 years Tai Chi became his only interest. 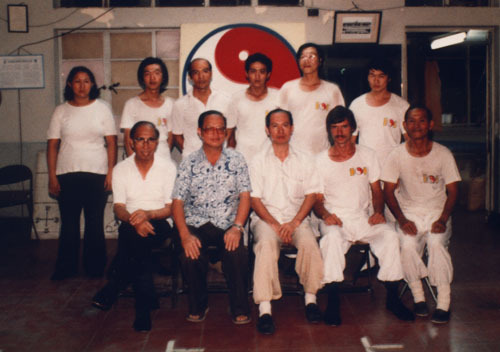 In 1980, Ben invited David to Malaysia to continue studying Tai Chi at Grand Master Huang Sheng Shyan’s School in Kota Kinabalu, Sabah, East Malaysia (Borneo). 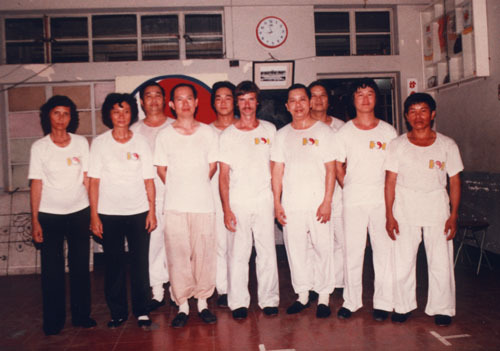 David’s Master Instructor at the “Sabah Tai Chi Association” was Master Wong Li Sung. The Tai Chi Style was Cheng Man Ch’ing’s 37 posture form. In 1988, David visited Hong Kong and was fortunate to meet and learn from Master Wong Yi in Victoria Park. The next trip was to Bangkok, Thailand, and Tai Chi practice with a group of Chinese Elders in Lumpini Park. During this time, David began practicing Pushing Hands and Long Sword, followed later by Saber and Staff. David began teaching privately in 1982 and, do to numerous requests, in 1989, opened the first brick and mortar Tai Chi School in New England, that concentrated only on Tai Chi. David is Director of “Central Connecticut Tai Chi Ch’uan“, along with his wife Barbara, who is Co-Director. Throughout the following years, David has learned a number of Tai Chi Styles from different schools: Yang Style 108-posture form, Yang Style 24-posture form, Wu Hao short form and Sun Style short form. David has also had the opportunity to learn from a number of Masters and Instructors within the US. He continues self study and learning from others. Barbara is Co-Director of Central Connecticut Tai Chi Ch'uan of Meriden. Barbara has been a Holistic Health Therapist and Teacher since 1996.